Ld. AR submitted that the assessee’s case was covered by the judgment of the Hon’ble Delhi High Court in the case of CIT-VII vs RRJ Securities Ltd. vide order dated 30.10.2015 in I.T.A. No. 164/2015 and 175/2015. It was submitted that the Hon’ble Delhi High Court has held that reference to the date of search under the second proviso u/s 153A of the Act has to be construed as the date of handing over the assets/documents belonging to the assessee (being the person other than the one searched) to the Assessing Officer having jurisdiction to assess the said assessee. It was submitted that the Hon’ble Delhi High Court has held that further proceedings by virtue of section 153C(1) of the Act would have been in accordance with section 153A of the Act and the reference to the date of search would have to be construed as the reference to the date of recording of satisfaction which would mean that six assessment years for which assessments/ reassessments could be made u/s 153C would have to be construed with reference to the date of handing over of the assets/documents to the Assessing Officer of the assessee. Ld. AR also submitted that as in the present appeal, in the case of RRJ Securities also, the Assessing Officer of the searched person as well as the other person were the same and, therefore, the assessee’s case is identical to the facts of the case in RRJ Securities. It was also submitted that the case of SSP Aviation Limited, relied upon by the department, has also been considered by Hon’ble Delhi High Court in the case of RRJ Securities wherein the Hon’ble Delhi High Court has held that the decision in SSP Aviation cannot be understood to mean that the Assessing Officer has jurisdiction to make a reassessment in every case where seized assets or documents are handed over to the Assessing Officer. The Ld. AR also referred to the satisfaction note and submitted that as per the satisfaction note, there is no clear finding that the documents seized belonged to the assessee and, as such, even on this count, the jurisdiction u/s 153C could not be assumed. “1. On the facts and in the circumstances of the case, the CIT (A) has erred in law and on facts in holding that proceedings initiated u/s 153C of the Income tax Act, 1961 are barred by limitation. 2. On the facts and in the circumstances of the case, the CIT(A) has erred in law and on facts in not appreciating that there was no physical handover of seized material in this case as the Assessing Officer of the main party and the Assessing Officer of the other person in this case are the same. 3. On the facts and in the circumstances of the case, the CIT(A) has erred in law and on facts in holding that in the absence of any material found during search, no addition/ dis allowance can be made in the assessment u/s 153 A or 153C of the Act in a case where the assessment is not pending. 4. On the facts and in the circumstances of the case, the CIT (A) has not correctly interpreted the provisions of section 153C r.w.s. 153A of the Income tax Act, 1961. 5. The order of the Ld. CIT (A) is erroneous and is not tenable on facts and in law. “1. That in view of the facts & circumstances of the case and in law the CIT (A) has erred in not holding that the notice issued U/s 153C and the assessment order passed U/s 153C/143(3) are illegal, bad in law and without jurisdiction. 2. That the documents found during search proceedings, as referred to in the satisfaction note, do not belong to assessee. Hence, the notice issued U/s 153C, based on said documents, is illegal, bad in law and without jurisdiction. 3. That admittedly, as recorded in the satisfaction note, no seized document related to the relevant assessment year was found and no addition has been made on the basis of the seized paper referred in the said satisfaction note and no incriminating material was found which contain satisfaction towards any undisclosed income Hence the notice issued U/s 153C and addition/dis allowances made are illegal, bad in law and without jurisdiction. 4. That the additions on account of unsecured loan & increase in share capital, dis allowance of exp. and dis allowance of deduction u/s 80IB are illegal, unjust, bad in law and are highly excessive and the same can not be justified. 2. Brief facts of the case are that a search and seizure action u/s 132 of the Act was carried out on M/s Wings Pharmaceutical Pvt. Ltd. and its group cases on 14.2.2008. The assessee was part of M/s Wings Pharmaceutical Pvt. Ltd. group and notice u/s 153A was issued on 13.1.2009. The assessment order dated 23.12.2009 passed u/s 143(3)/153C of the Income Tax Act mentions that notice u/s 153A was issued on 13.0 1.2009 inadvertently in the case of the assessee which was dropped later with prior approval. The AO further observed that during verification of the seized material, documents of M/s Wings Pharmaceutical Pvt. Ltd. as well as documents belonging to the assessee were found and accordingly, proceedings u/s 153C of the Act were initiated in the case of the assessee company. In response to the notice u/s 153C, the assessee filed its return of income on 11.11.2009 declaring income of Rs. 60,268/- as was declared in the original return of income filed on 24.11.2003. Assessment years 2002-03 to 2007-08 were covered u/s 153C of the Income Tax Act and the assessment for assessment year 2003-04 i.e. the year under consideration was completed at Rs. 28,35,120/- u/s 143(3) r/w section 153C of the Act. 2.1 In appeal before the ld. CIT(A), the assessee challenged the validity of the proceedings initiated u/s 153C as well as the assessment on merits. The assessee also took an additional ground before the Ld. CIT (A) that the initiation of proceedings for the year under consideration was time-barred. The Ld. CIT (A) allowed the additional ground of the assessee and held that the initiation of proceedings for assessment year 2003-04 were barred by limitation and, therefore, the assessment order passed u/s 153C was a nullity and the Assessing Officer was directed to delete the additions. Now aggrieved, the department has approached the ITAT by way of this appeal and the assessee has also filed the C.O. supporting the order of the Ld. CIT (A). 3. Ld. CIT DR, at the outset, placed reliance on the order of the Assessing Officer and submitted that the date of search was 14.2.2008 and since the Assessing Officer of the searched party as well as the assessee was the same, there was no physical handing over of the seized documents and, therefore, although the recording of satisfaction was done on 2.11.2009, the assessment years falling within the purview of section 153C would be six assessment years preceding the date of search i.e. 14.2.2008 and not 2nd November, 2009 as had been held by the Ld. CIT(A). It was submitted that provisions of section 153C and section 153A(1)(b) have to be read together and, therefore, assessment year 2003-04 would also be covered u/s 153C. ii) Any assessment or reassessment in any Assessment Year falling within a period of six Assessment Years immediately preceding the Assessment Year relevant to the previous year in which search is conducted or requisition is made pending on the date on which books of account or assets seized or requisitioned are received by the Assessing Officer having jurisdiction over such other person shall abate. Provided that the Assessing Officer shall assess or reassess the total income in respect of each assessment year falling within such six assessment years. So the A.O is empowered by the Income Tax Act and its provisions under Section: – 153A to assess the ‘total income’ of the assessee which includes undisclosed income. The Revenue’s claim that assessment u/s 153A/153C need not necessarily be based on incriminating material finds support from various decisions of Hon ‘ble Jurisdictional High Court of Delhi/ other High Courts and Hon’ble ITAT Delhi. The decision of Hon’ble Delhi High Court in the case of Anil Kumar Bhatia has been followed recently in another case of Filatex India Ltd. (269/2014 and CM No. 10077/2014) by Hon’ble Delhi High Court vide order dated 14-07-2014. After that Hon ‘ble Delhi High Court has discussed the case of Anil Kumar Bhatia decided by Hon’ble Delhi High Court earlier and quoted from Para 18 & 22 of this order (mentioned supra) and finely decided in Para 4 of this order that after examination of section 153A the submission/contention of the appellant has no merit. The decision of Hon’ble Delhi High Court in the case of Anil Kumar Bhatia has been followed recently in another case of Raj Kumar Arora, ITA No. 56/2011 by Hon ‘ble Allahabad High Court vide order dated 11-07-2014. “Whether ITAT has erred in law in dismissing the appeal of the department and holding that no addition can be made for gift in assessment completed under section 153A unless some incriminating material was found during the course of search, thus ignoring the provisions of law as contained in section 153A which required the Assessing Officer to Assessee or reassess the total income as defined in section 2(45) of the income Tax Act; 1961. 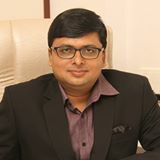 “Consequently we are of the opinion that in cases where the assessment or reassessment proceedings have already been completed and assessment orders have been passed, which were subsisting when the search was made, the Assessing Officer would be competent to reopen the assessment proceeding already made and determine the total income of the Assessee. The decision of Hon’ble Delhi High Court in the case of Anil Kumar Bhatia has been followed recently in another case of Canara Housing Development Company, ITA No. 38/2014 by Hon’ble Karnataka High Court vide order dated 25-07-2014. In this case the Hon’ble Court has also observed that the decision of Hon’ble special bench in the case of All Cargo Global Logistic Ltd. dated 0 6/0 7/2012 is not correct. 7. On circumspection of the clause (a) of the above provision, it is amply clear that the AO shall issue notice to such person requiring him to furnish the return of income in respect of each assessment year falling within six assessment years as referred to in clause (b) and, the latter clause, provides that the Assessing Officer shall ‘assesss or reassess the total income of six assessment year immediately preceding the assessment year relevant to the previous year in which such search is conducted or requisition is made.’ When we read section 153C in conjunction with section 153A of the Act, the position which follows is that if the books of account or document etc. belonging to assessment or re-assessment of such other person is required to be made of ‘six assessment years immediately preceding assessment years relevant to previous year’ in which such search is conducted or requisition is made. Section 153C is a jurisdictional provision, which on the fulfillment of the stipulated conditions, enables the making of assessment or reassessment of such other person in accordance with the provisions of section 153A. There is naturally no separate provision under the Act nor there do any for making the assessment of such other person for the reason of the bodily lifting of the provisions of section 153A in section 153C of the Act for this purpose. Since section 153A specially provides for assessment or re-assessment of six- assessment years preceding the year of search, and in view of section 153C adopting the provisions of section 153A, there can be no question of restricting the jurisdiction of the AO to any lesser number of years for which the incriminating material is found. When we read section 153C in a holistic manner, it becomes evident that the triggering point for assuming jurisdiction on the person other than the person searched u/s 153C is the finding of any money, bullion, jewellery or books of account or document from the person searched. Once any money, bullion, jewellery or books of account or document seized or requisitioned from the person searched are found to be belonging to the other person, then, the assessment or reassessment of such other person is to be necessarily completed in terms of section 153A. which in no uncertain terms refers to six assessment years immediately preceding the assessment year relevant to the previous year in which such search is conducted or requisition is made. Further, the use of the word ‘shall’ in section 153A immediately before clause (a) has left nothing to doubt that the assessment is required to be made for all the six assessment years immediately preceding the assessment year relevant to the previous year in which such search is conducted or requisition is made. As the legislature has not made the making of such assessment or reassessment for all the six assessment years subject to any condition of finding of any incriminating material or otherwise, we are unable to accept such contention of the Ld. AR which, if accepted, would lead to legislating a proposition which is obviously not tenable. 8. We can reject the contention of the Assessee from another angle as well. It is relevant to note that the expression “books of account or documents’ employed in section 153C (1) is accompanied by the works “money, bullion, jewellery or other valuable articles or things’. It is axiomatic that ‘money or jewellery’ etc. belonging to the other person found from the premises of the person searched cannot per se be related to a particular assessment year. If we test the contention of the Ld. AR on the touchstone of ‘money or jewellery’ etc., belonging to the Assessee found from the person searched, then it will be very difficult at the stage of initiation of assessment or reassessment of the other person to relate it to a particular year, there by jeopardizing the whole scheme of assessment pursuant to search or requisition. To a specific query it was candidly accepted by the Ld. AR that in items of section 153A. the initiation of assessment or reassessment for all the six assessment years in the case of person searched is not dependent on the findings of any incriminating material. It is beyond our comprehension that when such a course of action is permissible u/s 153A in the case of person searched, then how can there be any bar on the initiating or making of assessment or reassessment for some of the years of other person, more so. when section 153C(‘l) has been expressly made to accord with the provisions of section 153A. We, therefore, jettison the contention urged on behalf of the Assessee as sans merit. “The question of law agitated before the Tribunal was whether, for the purpose of computing income under section 153A/153C, the Assessing Officer was required to confine himself only to the material found during the course of search operations. The Tribunal held against the Assessees. Recently Hon’ble ITAT Hyderabad Bench in the case of Smt. M. Vijaya & Ors. Vs. DCIT dated 06.06.2014 has followed this order and held that even if there is no incriminating material to indicate any undisclosed income or income escaped assessment during the original assessment completed u/s 143(3), the AO is bound to make assessment u/s 153A for all these assessment years. On the basis of the above judgments/decisions by Hon ‘ble Courts/Tribunal the plea of the appellant that u/s 153A addition only on account of seized material has to be made deserves to be dismissed. 2. Heavy Hearts Hospitals Ltd. vs. Asst. CIT  130 TTJ 700 (Chennai Bench) (Para 2.12). 1. Smt Dayawanti v CIT  75 taxmann.com308 (Delhi) Reference to Head notes & Para 23. Case of CIT v Kabul Chawla [380 ITR 573] has also been discussed. 2. E.N N Gopakumar v CIT(Central)  75 taxmann.com215 (Kerela) Reference to Head notes. 4. Repudiating the arguments of the ld. CIT DR, the Ld. AR submitted that the assessee’s case was covered by the judgment of the Hon’ble Delhi High Court in the case of CIT-VII vs RRJ Securities Ltd. vide order dated 30.10.2015 in I.T.A. No. 164/2015 and 175/2015. It was submitted that the Hon’ble Delhi High Court has held that reference to the date of search under the second proviso u/s 153A of the Act has to be construed as the date of handing over the assets/documents belonging to the assessee (being the person other than the one searched) to the Assessing Officer having jurisdiction to assess the said assessee. It was submitted that the Hon’ble Delhi High Court has held that further proceedings by virtue of section 153C(1) of the Act would have been in accordance with section 153A of the Act and the reference to the date of search would have to be construed as the reference to the date of recording of satisfaction which would mean that six assessment years for which assessments/ reassessments could be made u/s 153C would have to be construed with reference to the date of handing over of the assets/documents to the Assessing Officer of the assessee. Ld. AR also submitted that as in the present appeal, in the case of RRJ Securities also, the Assessing Officer of the searched person as well as the other person were the same and, therefore, the assessee’s case is identical to the facts of the case in RRJ Securities. It was also submitted that the case of SSP Aviation Limited, relied upon by the department, has also been considered by Hon’ble Delhi High Court in the case of RRJ Securities wherein the Hon’ble Delhi High Court has held that the decision in SSP Aviation cannot be understood to mean that the Assessing Officer has jurisdiction to make a reassessment in every case where seized assets or documents are handed over to the Assessing Officer. The Ld. AR also referred to the satisfaction note and submitted that as per the satisfaction note, there is no clear finding that the documents seized belonged to the assessee and, as such, even on this count, the jurisdiction u/s 153C could not be assumed. 4.1 The Ld. AR also placed reliance on the order of the ITAT Delhi Bench in the case of Goverdhan Financial Services Ltd. in I.T.A. No. 1720 & 943/D/2013 which is also a group company of M/s Wings Pharmaceutical Pvt. Ltd. i.e. the searched party. A notice u/s 153C of the Act was served upon this company for assessment years 2002-03 to 2 007-08 and the ITAT on identical facts held that assessment/reassessment in respect of assessment years 2002-03 and 2003-04 was beyond the period of six assessment years as computed with reference to the date of satisfaction recorded by the Assessing Officer of the searched person. Reliance was also placed on another judgment of Hon’ble High Court in the case of Pr. CIT vs Lata Jain in I.T.A. 214/2016 and 276/2016 wherein the Hon’ble Delhi High Court vide order dated 29.4.2016 held that where no incriminating material for the assessee is found, the assessment framed u/s 153C was not legally tenable. 5.1 The fact that satisfaction u/s 153C of the Act in the case was recorded on 2nd November, 2009, is not disputed by both the parties. In the judgment cited above, the Hon’ble High Court has held that when the Assessing Officer of searched person and such other person in whose case proceedings under section 153C are initiated, is the same officer, then the date of recording of satisfaction would be construed as the date of handing over of the seized records by the Assessing Officer of searched person to the Assessing Officer of such other person in whose case proceedings under section 153C are initiated. Since the Hon’ble High Court has already construed the relevant provisions, we do not concur with the arguments advanced by the ld. CIT DR on this count. Respectfully following the above judgment of the Hon’ble High Court in RRJ Securities (supra) the date of handing over of seized material/ record by the Assessing Officer of searched party to the Assessing Officer of the assessee would be 2nd November, 2009. Further, following the judgment, the six assessment years for which assessment/re-assessment could be made u/s 153C of the Act would also have to be construed as from the reference date of handing over of assets/documents to the Assessing Officer of the assessee. In the case in hand, it would be the date of recording satisfaction under section 153 of the Act i.e. 2nd November, 2009, and therefore, six assessment years which would eligible for assessment/re-assessment would commence from assessment year 2004-05 to assessment year 2009-10. The assessment/re-assessment in respect of assessment year 2003-04 would, thus, be beyond the period of six assessment year as reckoned with reference to the date of satisfaction recorded by the Assessing Officer of the searched person. We, therefore, hold that the learned CIT(A) was quite justified in considering the assessment for assessment year 2003-04 as outside the scope of section 153C of the Act, being barred by limitation and without jurisdiction. Accordingly, the impugned assessment order is liable to be quashed. We decide accordingly. 5.2 As we have already quashed the assessment, the other grounds raised by Revenue are rendered merely academic and, therefore, we are not required to adjudicate on those grounds at this point of time. Accordingly, the appeal of the Revenue deserves to be dismissed. 6. As already discussed, since the impugned assessment stands quashed, being without jurisdiction and the order of the ld. CIT(A) stands upheld, the Cross-objection filed by the assessee in support of the impugned order, is rendered as infructuous and deserves to be dismissed. 7. In the result, the appeal of the revenue and C.O. filed by the assessee are dismissed. Order pronounced in the open court on 21.11.2017.